Scooper - Technology News: Now more than ever we need to protect human rights. But do people still care? For millions of people, human rights give a framework to the struggle for freedom and justice. It’s only when they are in real danger of being stripped away that we realise we do care about human rights. Inequality and unaccountable leadership are major drivers of the massive growing anger and distrust so many people have towards governments, institutions and corporations. One of the main reasons people are hurting is that governments worldwide have failed to protect economic rights. Governments have failed to take reasonable steps to ensure the right to work and an adequate standard of living for many facing economic instability. 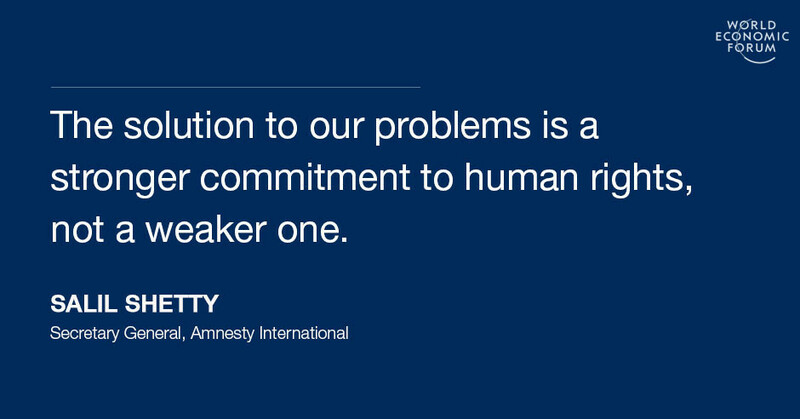 Human rights are a vital part of the solution for them. While the rise of divisive, scapegoating political rhetoric could suggest that support for human rights is on the wane, we have seen plenty of signs that people take human rights very personally. 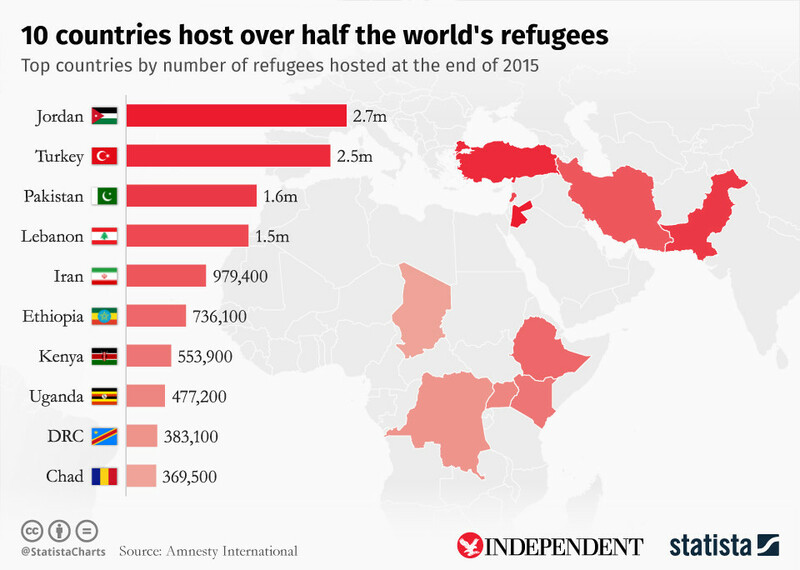 The refugee crisis has raised major questions about who we are as societies. While the 10 countries who take in 56% of the world’s refugees account for less than 2.5% of world GDP, the world’s richest six countries who account for half the world’s GDP have taken in just 6% of the world’s refugees. We are in a badly skewed situation where the countries with the ability to do most to help are shirking their responsibility and leaving countries who have far fewer resources to help refugees. Governments often use public opinion as an excuse for tearing up the basic principle of international law - that people fleeing war and persecution have a right to seek asylum. But do the actions of wealthy countries represent the views of their citizens? Not necessarily. The vast majority of people see themselves as living in fundamentally welcoming and open societies. When a global survey asked 27,000 people how closely they would accept refugees, 80% said they would let them into their country, while a tenth were even ready to go so far as to take them into their homes . Two-thirds said their governments should do more to help refugees. Some of the most welcoming views came from countries have recently seen large numbers of refugees arrive, like Germany, Greece and Jordan. People do care about the rights of refugees. If people see that their governments have an ambitious, detailed plan to help and house refugees, people would rise to the challenge with the spirit that has characterized by the countless Greeks who have opened their homes and hearts to refugees in the past two years. People also care deeply about their privacy, something that has been clear to see in the surveillance debate since 2013. When Edward Snowden exposed the massive scale of intrusive government surveillance on our private lives, vast swathes of people were outraged that their privacy was being violated. While the US government wants to prosecute Snowden, people all over the world have come to his defence, with hundreds of thousands calling on President Obama to pardon Snowden at the end of his term this January. Tech companies are under increasing pressure from their users to increase the privacy of their messaging apps . The debate around online surveillance has become highly personal, focusing on how much companies should provide services that keep messages private by protecting them with end-to-end encryption. When people take human rights personally, they take them seriously. The people who care about human rights most of all? Repressive governments who want to silence dissent, for whom human rights are a serious threat. The Committee to Project Journalists has just warned that more reporters are in jail right now than at any time since 1990. The threats against people who stand up for human rights are becoming so severe and widespread that Amnesty International is planning a campaign to raise awareness of the threats faced by human rights defenders. And when governments crack down, people stand up. When people see other human beings in need, whether they are refugees or prisoners of conscience, their basic instinct is to help. For decades Amnesty International supporters all over the world have taken direct action to free people who fell prey to government repression, and very often the pressure leads governments to release them, be they student activist Phyoe Phyoe Aung in Myanmar or Albert Woodfox who spent four decades in solitary confinement in Louisiana . A world without human rights would be one moving in the wrong direction, towards greater conflict and repression, and less freedom, justice and equality. It’s vital we rediscover a commitment to human rights – and make it one of the driving narratives for creating a better world. History tells us that economic crisis, xenophobia and rising public anger with the establishment is a dangerous recipe. Yet that is what we see across much of the world today. The underlying grievances challenging policy-makers are set to get worse as inequality grows and technological disruptions like automation drive structural unemployment. Leaders need to get to grips with those challenges urgently. Human rights are not just a protection against government abuse, they are a crucial foundation of freedom, justice and peace in the world. They are a part of the international social fabric that ties links between people across borders. At a time when politicians are actively seeking to press divisive buttons to win votes even if it means turning people against each other, we need the uniting force of human rights more than ever.